August 10, 2017, 6:00 – 10:30 p.m.
Raise a glass with friends while helping Conservation Colorado raise funds to protect, conserve, and ensure a future with plenty of clean water for all Coloradans. Because no water means no beer! 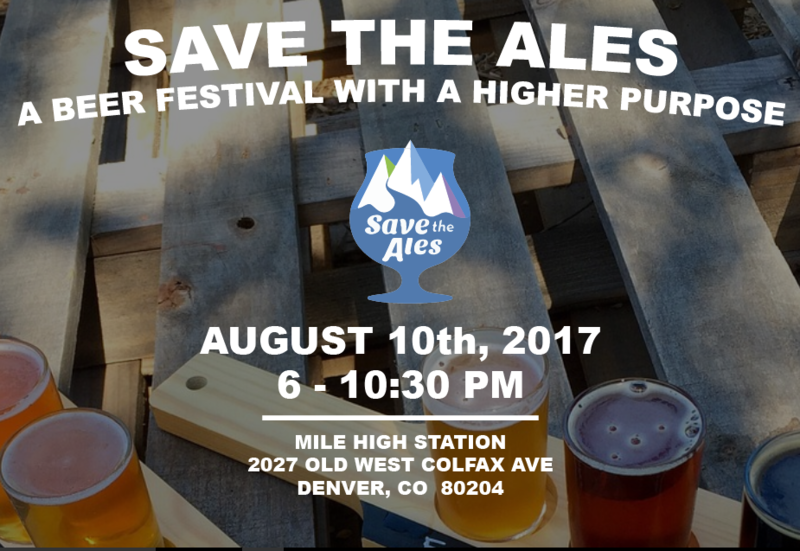 Your Save the Ales ticket purchase will help Conservation Colorado educate citizens on how to be stewards of water, collaborate with lawmakers to protect water at the policy level, and encourage people to stand up for the basic human right to clean, healthy water for all. There will be over 30 Colorado craft breweries and tickets are limited.